Use of Guest House Bank, known as a searching site for shared houses. (1) Let's know what shared house is. 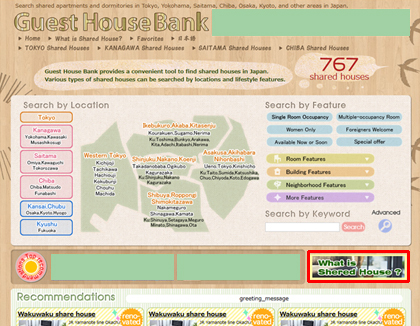 ← On "What is Shared House?" page there is helpful information about shared houses and tips for staying the houses. (2) Try to find shared houses. 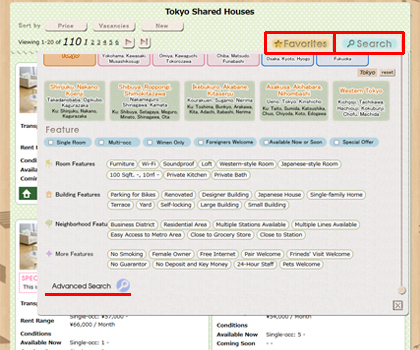 ← You can search shared houses by location, feature and keyword. 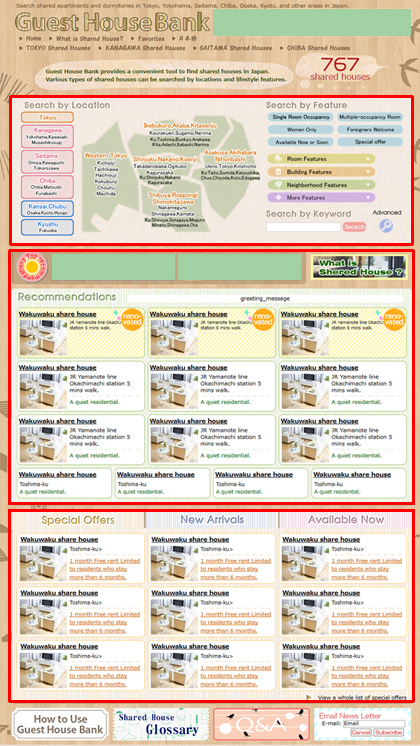 ← A list of shared houses we recommend. 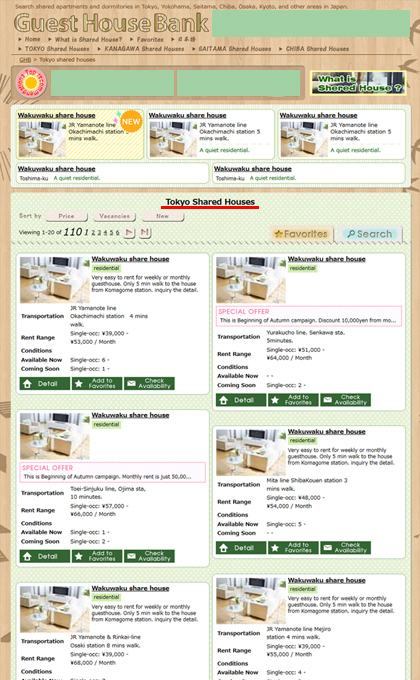 ← You can sort shared houses by "Special Offer", "New Arrivals" and "Available Now". ← You can add shared houses to "Favorites" and check the list. ← "Advanced Search" is also available. ← Checking the details such as transportation, rent range, conditions and places to share. 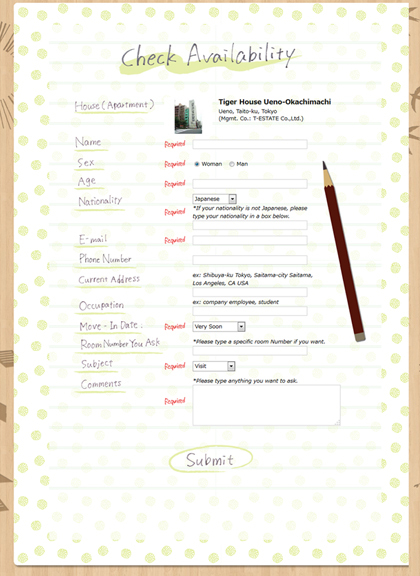 ← If you interested in the house, let's click on "Check Availability". ← Room details might be helpful for your decision. You can sort rooms by "All Rooms" and "Available Rooms Only". ← Clicking on "Available" you are able to check availability of exact room. (5) Fill in a form and submit! Receiving your request, the management company will contact you.